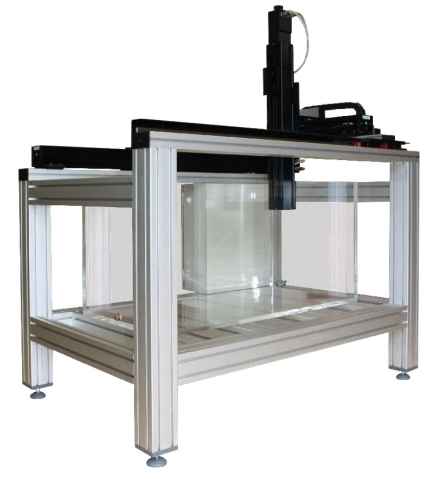 Angloplas manufacture bespoke tanks for scientific research using high quality cast Acrylic which is bonded with a 2 pack adhesive to form a 100% water tight seal. All are thoroughly tested before leaving our factory. Acrylic is far stronger and weighs approximately half that of glass. It also allows nearly twice the amount of light through leading to a much brighter tank. Acrylic has another advantage over glass as it acts as an efficient insulator, thus reducing running costs if the fluid is to be heated. Manufactured in 20mm thick Acrylic. Capacity 1 m3 - 1 tonne (water). 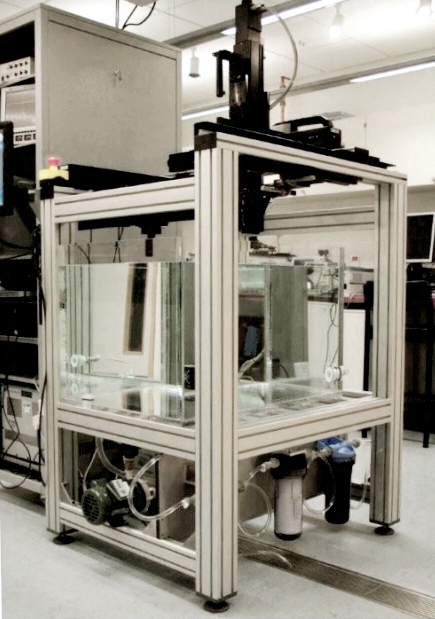 Scanning Tank shown in it's working environment at the Biomedical Ultrasonics and Biotherapy Laboratory at the University of Oxford, UK. 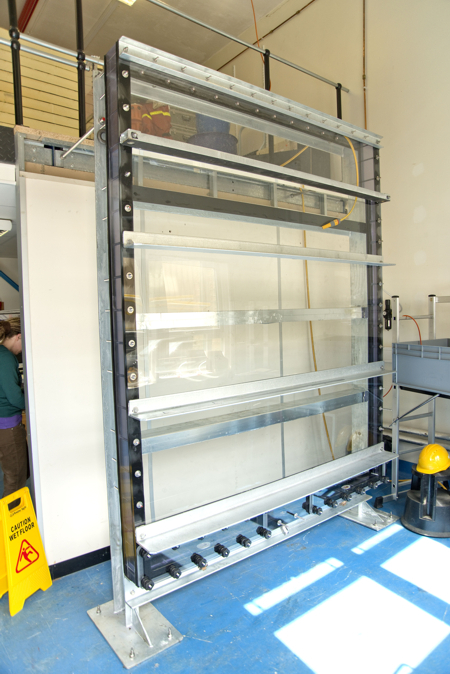 Sediment Test Tank Designed and Built by Angloplas for the School of Ocean and Earth Science at the University of Southampton, UK. May 2013. This test tank measures 2m wide by 2.5m high and was mounted within an integral galvanised steel frame. The photo was taken shortly after our team had installed it in its new laboratory home. It was then to be fitted with electronic measuring devices, sediments and water in order to test the effects of undersea cables. Manufactured in Polycarbonate and Acrylic.